Below you fill find all funeral homes and cemeteries in or near Royston. Their current mayor is Mayor Greg Scott. Zip codes in the city: 30662. Since 1917,Ginn funeral home has paid tribute to the time-honorde traditions of the Franklin county community.For three generations,our family has served our friends and neighbors in their time of need. Some of the notable people born here have been: Gary Walker (american football player), and Tony Jones (american football player). It was reported by Athens Banner-Herald on March 25th, 2019 that David George Sr Porter perished in Royston, Georgia. Porter was 72 years old. Send flowers to express your sorrow and honor David George Sr's life. It was disclosed by Athens Banner-Herald on March 14th, 2019 that Polly Sartain (Price) passed away in Royston, Georgia. Ms. Sartain was 79 years old. Send flowers to express your sympathy and honor Polly's life. It was noted by Athens Banner-Herald on March 12th, 2019 that Juanita Brightwell (George) passed on in Royston, Georgia. Ms. Brightwell was 90 years old. Send flowers to express your sympathy and honor Juanita's life. It was noted by Athens Banner-Herald on January 28th, 2019 that Jason Robert Ballenger perished in Royston, Georgia. Ballenger was 37 years old. Send flowers to express your sympathy and honor Jason Robert's life. It was disclosed by Statesville Landmark on December 28th, 2018 that Henry Leroy Scott died in Statesville, North Carolina. Scott was 92 years old and was born in Royston, GA. Send flowers to share your condolences and honor Henry Leroy's life. It was written by The Times on December 12th, 2018 that Leroy Littlejohn passed away in Royston, Georgia. Littlejohn was 70 years old. Send flowers to express your sorrow and honor Leroy's life. It was disclosed by The Times on December 11th, 2018 that Phyllis Elain Fortner (Thomason) passed on in Royston, Georgia. Ms. Fortner was 63 years old. Send flowers to share your condolences and honor Phyllis Elain's life. It was revealed by Orlando Sentinel on August 16th, 2018 that Dennis Gary Sanders passed away in Florida. Sanders was 71 years old and was born in Royston, GA. Send flowers to express your sorrow and honor Dennis Gary's life. It was noted by Centralia Sentinel on June 5th, 2015 that Hugh Doyle Barton passed on in Effingham, Illinois. Barton was 81 years old and was born in Royston, GA. Send flowers to express your sorrow and honor Hugh Doyle's life. It was disclosed by Morganton Herald on March 3rd, 2013 that Bertha Miles (Roland) passed away in Drexel, North Carolina. Ms. Miles was 91 years old and was born in Royston, GA. Send flowers to share your condolences and honor Bertha's life. 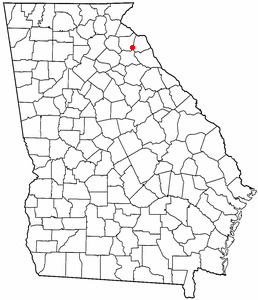 Royston is a city in Franklin County, Georgia Hart County, Georgia and Madison County, Georgia counties in the US state of Georgia (US state) The population was 2,493 at the 2000 census. . . . .
Find funeral directors & Funeral Directors in Royston, GA. Read business reviews, find driving directions, and more. funeral directors on YELLOWPAGES.COM. Listing all funeral homes in Royston, Georgia so you can easily send flowers to any location (same day delivery) or find any funeral service. We work with local florists and flower shops to offer same day delivery. You will find budget sympathy flowers in Royston here. Our funeral flowers are cheap in price but not in value.